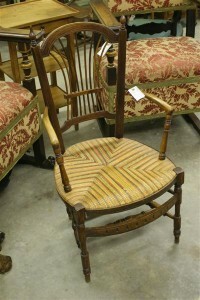 19th century Belgian armchair in walnut.19th century Belgian armchair in walnut. 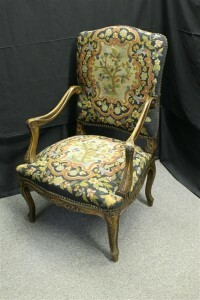 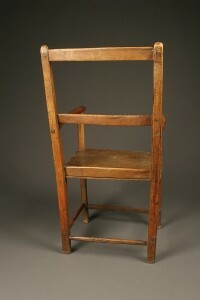 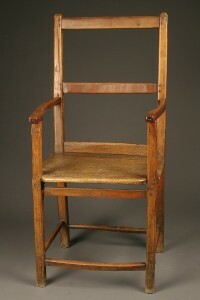 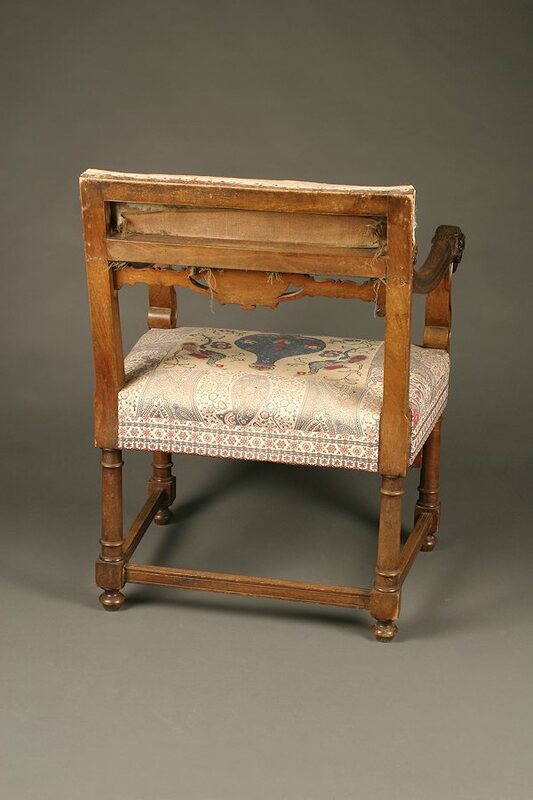 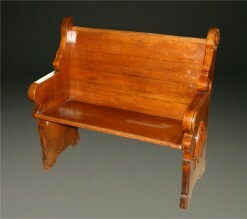 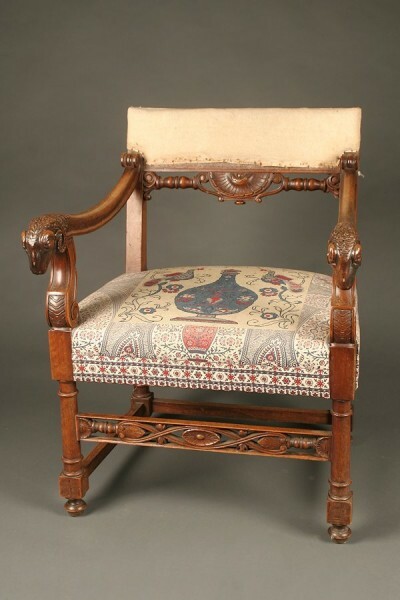 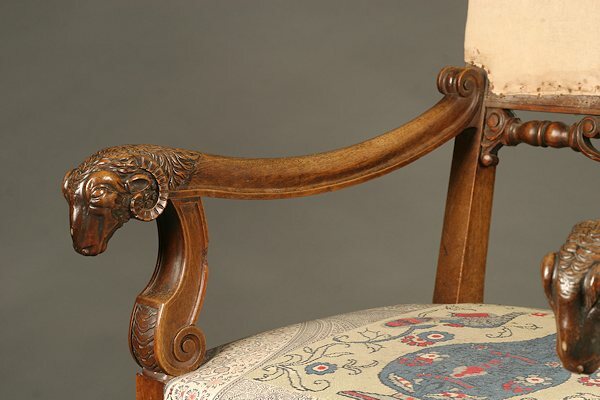 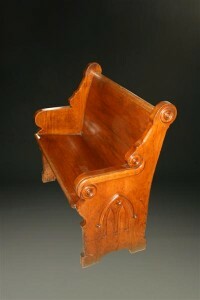 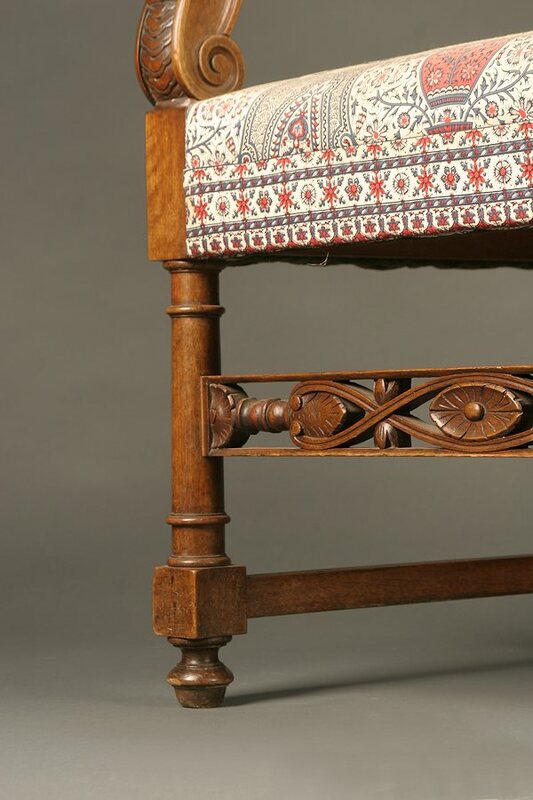 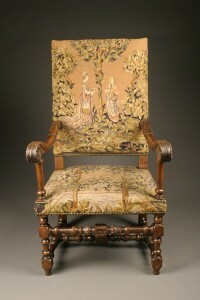 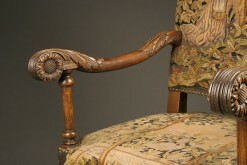 19th century Belgian armchair in walnut. 19th century hand carved in walnut Belgian armchair with rames heads on arms and carved stretchers on back and base, circa 1880.